For years men have had their garages, basements or sheds to disappear to when they need their space, or just somewhere they can sit to read the newspaper in peace. Gordon Thorburn, author of ‘Men and Sheds,’ called their sheds and spaces a “male necessity”, but men are not the only ones who are in need of a ‘Man Cave’. 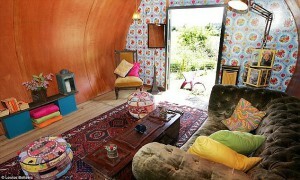 The trend for having She Sheds has rapidly increased, as more and more women demand a place to call their own. 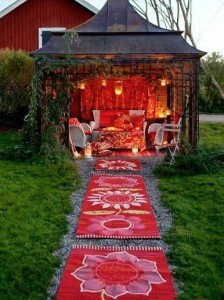 For some, She Sheds become a tranquil space at the bottom of the garden to slip away from the chaos of family life. For others it is a space where they can craft, unwind, to sit and read or just be a private place they can invite their group of girlfriends into. 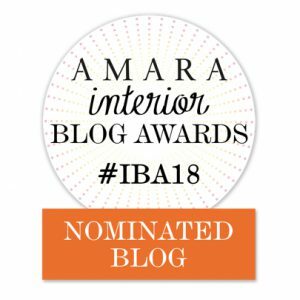 The exquisite She Sheds below highlight that women don’t just want a basic space, instead they are commissioning beautiful home-away-from-homes, which could not be further from the humble garden shed. From gypsy caravans, to modern beach huts, She Sheds are being transformed with; sumptuous silk cushions, coffee tables, beaded throws, candles and chandeliers to bring a sense of grandeur to their interior spaces. 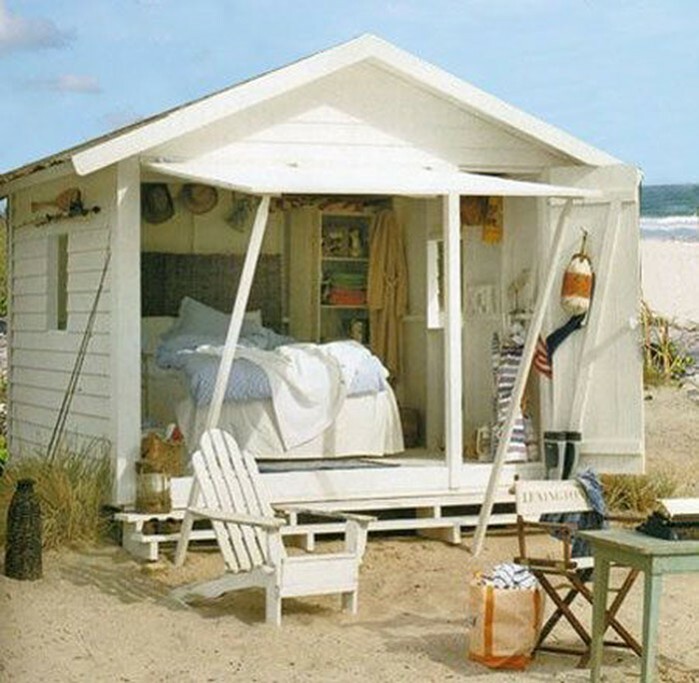 Below, are an inspiring array of ideas to help you create your very own She Sheds. They range from a Crafts shed complete with beads, ribbons and a crafting desk, to garden getaways that have furniture layouts that would not be out of place in a spacious, full-size living room. 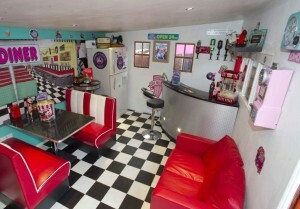 One of our favourite shed examples is Anne & Ian Bate’s small-scale American diner shed design that has drawn inspiration from 1950’s America, complete with a diner booth, fridge, popcorn maker and even houses a jukebox. Enjoy! 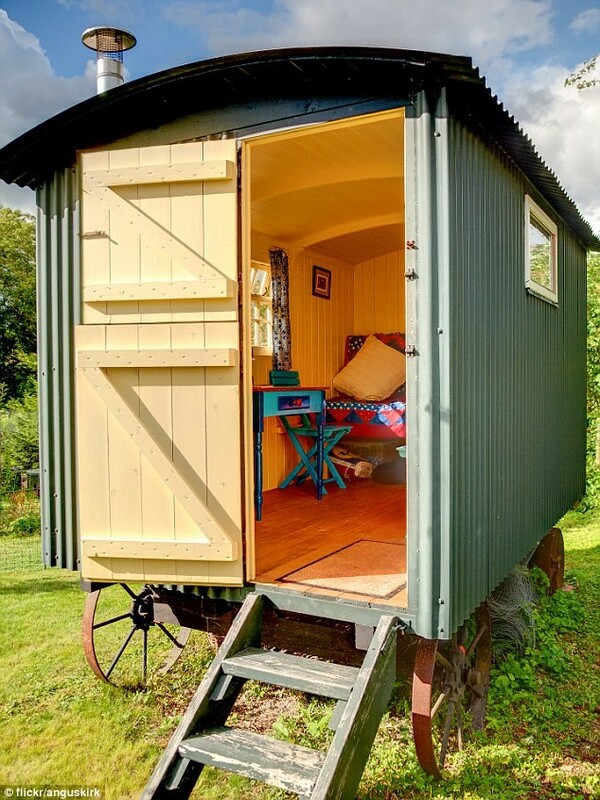 Quaint vintage gypsy wagon by Flickr/anguskirk via dailymail.co.uk. Accessed 23/04/15. 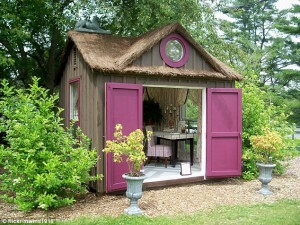 Luxurious She Sheds are popular, complete with chandeliers, dining tables and chairs. Via Wooden House. Accessed 22/04/15. 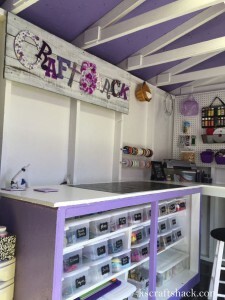 Blogger kscraftshack.com from www.hometalk.com turned her garden shed into a craftroom via http://www.housebeautiful.com. Accessed 23/04/15. 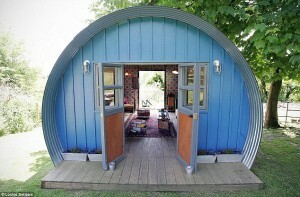 She Sheds used are being used as Yoga Retreat Via Good To GrowMock. Accessed 23/04/15. Spacious Outdoor Yurt is big enough to host lots of guests. Cuprinol via dailymail.co.uk. Accessed 23/04/15. 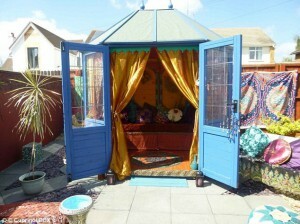 An Arabian inspired shed complete with draped curtains, silk cushions and a sofa. Cuprinol/Rex via dailymail.co.uk. Accessed 23/04/15. Very nice, some really lovely ideas there. Very inspirational!! 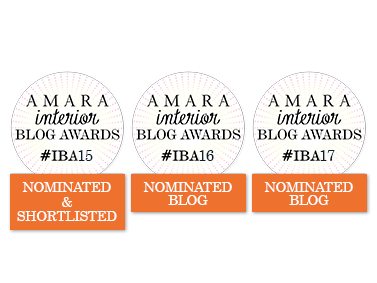 We glad you liked the blog post Charlotte, we’ve caught the she shed bug here too! We all want to transform our under stairs cupboards, gardens and spare spaces into our ‘girls only’ spaces asap. Absolutely brilliant. I would love to have one as my design studio and hopefully if I manage to complete my studies I will get one. Amazing cabins. Really nicely looking, stylish and they fit perfectly to these gardens. So cute cabins. Looking at them makes me feel like I can escape from the real life and hide there for a little while. Thanks for sharing them I definitely want to have such a cabin. Great idea thanks for adding.Looks really good.